Turkish automotive production set record producing all-times highs in 2016 with 9 percent increase to the number of 1 million 486 thousand units, the exports also exceeded 1 million threshold first time in 2016. In 2016, Turkish automotive industry repeated its production and export records which set record in 2015 as well. The automotive production rose by 1 million 486 thousand units with 9% growth in 2016. According to this result the Turkish automotive industry has produced daily 4 thousand 71 vehicles on average last year. 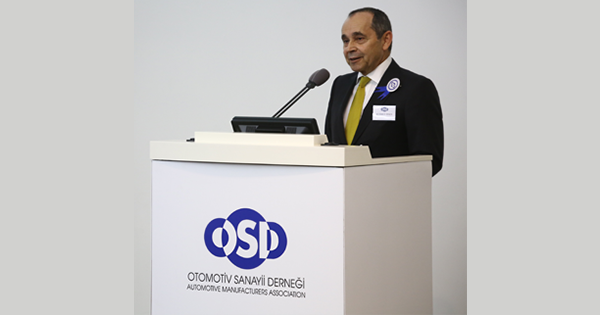 Kudret Onen, Chairman of Automotive Manufacturers Association (OSD), said Turkish automotive industry sustained its growth in production in 2016 and showed a performance over the record set in 2015. Reminding the automotive capacity utilization which was 1,5 million in 2010, had approached by 1 million 486 thousand units in 2016, Onen said; “We expect the exports will boost more through currently ongoing investments and/or the new investments that would be commissioned in 2017. Continuity of our government’s supporting policies to our industry, protecting stability in the domestic market, sustainability of our country’s competition and also attracting new investment to our country might be the most important opportunity for our sector.” Pointing out the effect of new projects which had entered into force in 2016, as for the year 2017, Onen said; “In 2016, we have let several new automobile projects entered into force. Now, we have also transformed our foremost commercial vehicle production base position in Europe to passenger car production position. We expect the exports would rise more in 2017. The new projects which are supported by incentives would also encourage production-based export increase. Of course, a satiation – which has a stabile domestic market and investment and purchasing decisions might not be affected – carries a crucial importance in terms of sustainability of our industry.” One step ahead in automobile production Turkish automotive industry has taken place in the second range in the European Union countries in terms of commercial vehicle production, in the automobile production in the 7th range. Across the world, the sector has kept its 15th line in the automotive production in the first 9 months of 2016 same with 2015. Along with the new automobile projects which entered into force, the sector raised one step ahead.” Patent application surged 370% According to the OECD data, when looked at the automotive share in R & D expenditures, Turkey has the share of 14 percent. Between 2010 – 2015, the R & D employment increased 96%, patent application increased 370%. Protecting our sustainable competitiveness in automotive is very crucial “Our automotive industry has achieved in terms of being an international production hub with the experience and accumulation and its competitiveness has become an undiscussable position in the aspect of internationally. However, the sustainable developments of the automotive industry should be taken under warranty and as all shareholders; we should fulfill what exist on our shoulders. In order to draw new investments to the sector and to maintain our current position it requires strengthening of our competitiveness and bringing to sustainable condition. In this point, we consider to improve policies in the areas of digital transformation, qualified labor force, administrative structuring and global trade agreements. Developed countries are preparing special approaches to regain their competitiveness in the production industry and for our country’s sustainable competitiveness this issue must be followed closely. 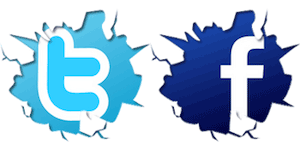 We, as the automotive industry, maintain the studies related to digital transformation. In this framework, as the OSD, we are managing our preparations taking place in Digital Transformation Platform which has been formed by the Ministry of Science, Industry and Technology to contribute the studies. Our suggestions in this issue are gathered under the headlines of education policy, lawful infrastructure, supporting of machinery and equipment production in the scope of digital transformation and incentive mechanism,” Onen concluded.